With over 80 years of combined experience, the ESI Security Services consultation team can help you with your security planning so you can focus on other important aspects of your special event. The ESI Security Consultants can look at the many aspects of your event and create a cohesive strategy for ensuring the safety and peace of mind for all involved. 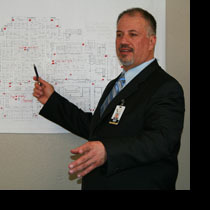 Our consultants plan through many tried and true methods. They perform a risk assessment by looking for areas that offer potential to offenders and trespassers. They will conduct a venue evaluation that will asses the location of your event and determine how best to secure it. The consultants will interview and hire the proper security company or personnel for your event and work with local law enforcement to provide your event with the best and safest services possible. Once the planning phase is complete, the ESI consultants will be present during your event to address any challenges that may arise as well as maintain the high standards that ESI Security Services is known for. The ESI consultants will oversee the security personnel at your event to ensure maximum satisfaction for you and your guests and to act as a liaison between you and the security staff. When it comes to special events, such as conventions and trade shows, preparation is vital and the ESI Security Services consultation team can assist you in hosting a successful and safe event.